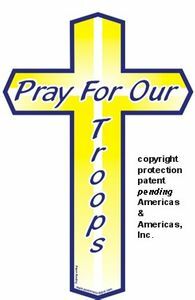 This is the smaller version of our "Pray for our Troops" cross magnet. The yellow cross features the words "Pray for our Troops" in black. The yellow of the cross symbolizes those who are serving away from home.